Peter O'Brien has a powerful swing, but perhaps his biggest challenge is behind the plate. SCOTTSDALE, Ariz. — Mark Grace sounded part TV announcer, part stadium emcee and part assistant hitting coach. 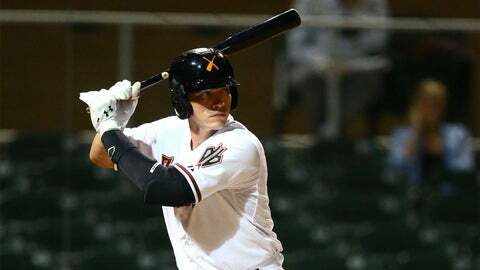 As he led eight Diamondbacks catchers split into two teams through a game simulation hitting session on Tuesday, Grace called the score and result of each at-bat — a playful interaction with fans who had showed up at Salt River Fields to keep tabs on the competition. Save for one instance, when the D-backs on hand gave the 35-year-old Gerald Laird grief after a surprising home run, Grace turned around every time a ball left the park. "That’s Peter O’Brien, folks," he said to the crowd. D-backs manager Chip Hale approaches such results with cautious optimism until his hitters see live pitching. Yet, the fact that the rest of the catching crew weren’t launching balls over the wall with such ease said something about where O’Brien stands. He’s a power hitter playing catch-up at catcher. A full season in the minors behind the plate last season has him confident he’s up to snuff with the other seven catchers in camp, though his lack of experience catching major-league pitchers would seemingly put him at a disadvantage. "I feel every time you have a tool that stands out, there’s going to be something someone talks about negatively," O’Brien said of the scouting report on him. "I’ve always been an underdog my entire career. I feel comfortable back there. I’m really confident with where I’m at behind the plate." 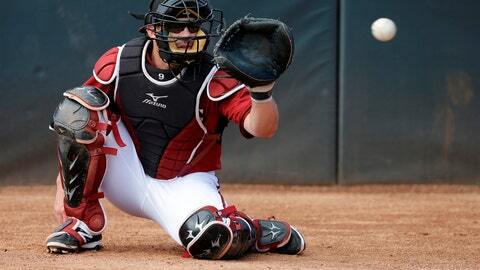 At catcher, the Diamondbacks could go young or old, offense or defense. Acquired in the trade last season that sent Martin Prado to the New York Yankess, O’Brien hit a combined .271/.316/.594 with 34 home runs for Single-A Tampa and two Double-A teams. He hit a home run every 11.7 at-bats, and his home runs accounted for 31 percent of his total hits. His 111 strikeouts (and only 21 bases on balls) are an indication of one area he’ll need to improve upon as he progresses up the ladder to face the world’s best pitchers, but the D-backs already saw some of that in the Arizona Fall League. O’Brien had five home runs in 86 Fall League at-bats and walked 17 times, along with 24 strikeouts. The catching is the question mark, but the Diamondbacks sound as if they believe he has what it takes. Logically, it would seem some more full-time work behind the plate in the minor leagues would be beneficial, but the D-backs don’t want to rush to judgment. "He’s been here since the first of the year, being dedicated to improving his catching skills," general manager Dave Stewart said. "We’ve got the rest of this month and all of March to really get the work in, but one thing he’s done is he’s not shied away from the work. He’s received instruction very well." The work ethic goes beyond the baseball field. Yin Yoga is a big part of O’Brien’s offseason training regimen, and it helps hip flexibility and mobility. 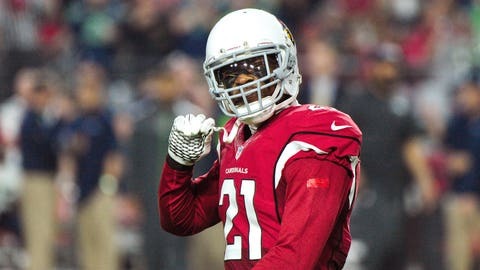 "We were out there pretty early in January doing bare-hand stuff and working on my exchange and my footwork and my receiving and a lot of flexibility stuff in the weight room. The flexibility is definitely the big thing because I’m a bigger guy," said O’Brien, who measures 6-feet-3 and 215 pounds. Now it’s putting those things to practical use on the field. D-backs president and CEO Derrick Hall said he senses that fans are eagerly watching the competition among the catching candidates — and in particular O’Brien and Rule 5 draftee Oscar Hernandez, and manager Hale has picked up on that, too. "One thing I learned early on when I was a player with the Minnesota Twins … we’re entertaininers," Hale said of O’Brien. "He can do that with the best of them." And he added one warning to those fans driving to and from Salt River Fields while O’Brien is taking batting practice: "You got to be careful where you drive." VIDEO: Jack Magruder and Jody Jackson discuss what they’ve seen from Yasmany Tomas’ defense at third base.